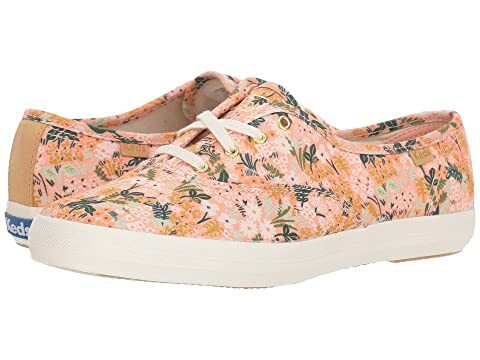 Get your floral kick going with the ravenous allure of the Keds® x Rifle Paper Co.™ Champion Meadow sneaker. Printed canvas upper with Rifle Paper Co.'s signature Meadow print. Two sets of laces included: white lace with gold tips, the other features a tonal signature Meadow print. We can't currently find any similar items for the Champion Meadow by Keds x Rifle Paper Co.. Sorry!